Window wraps advertising is a relatively innovative method of advertising. 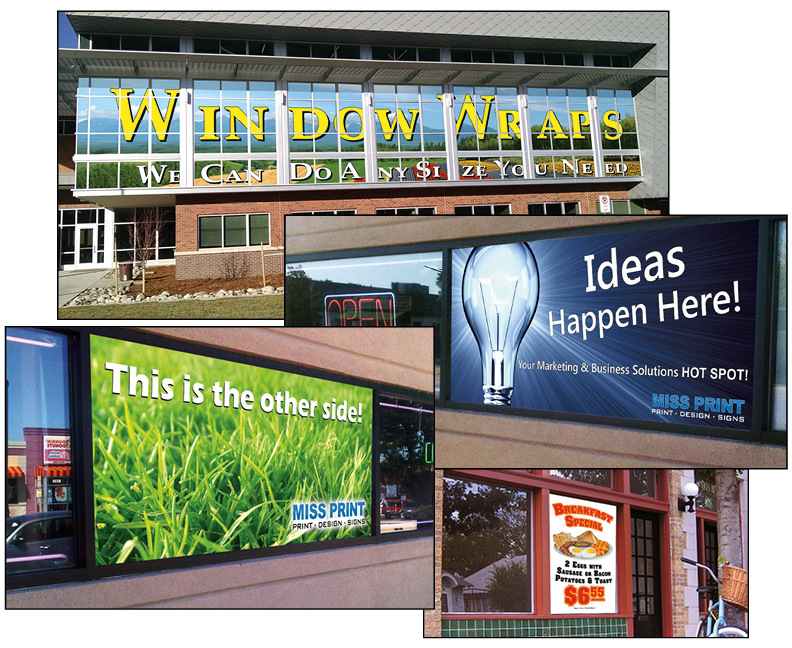 You are essentially creating a mini billboard using your own store’s windows–regardless of size, shape or quantity. Window wraps provide companies with a method of advertising that attracts customers and grabs the attention of those driving or walking by. Wrapping a store window is also a cleaner, more precise method to window advertising than using paint or even posters. Using a window wrap means a high impact on those who see it. The custom wrap is not only big, bold and colorful, it is also much simpler to install than previous outdated means of window advertising. Combine with door lettering to really make a bold statement for your business.